One need not go all the way to Salisbury Plain to witness a spectacular solar phenomenon. New Yorkers have been privileged to view something called “Manhattanhenge” or “Manhattan Solstice” – whereby the sun sets in alignment with the east-west streets of the urban island, providing a visual somewhat similar to Stonehenge in England. 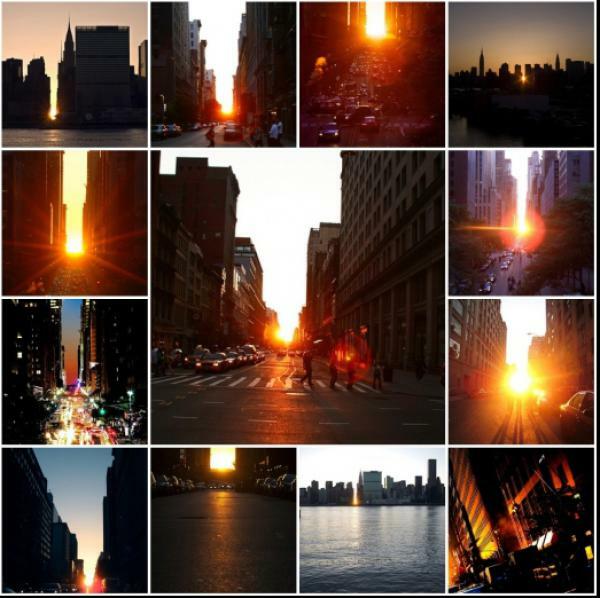 Manhattanhenge occurs only twice a year – typically on or in between May 28 & May 31 and in between July 11 & July 13. In this perfect and rare juxtaposition, the sun appears to be comfortably nestled between Manhattan’s huge skyscrapers. However, the effect lasts for only 15 or 20 minutes. The term “Manhattanhenge” was created by astrophysicist Neil deGrasse Tyson in 1996 at the American Museum of Natural History, who noticed how similar it was to the way the sun sets in Stonehenge.